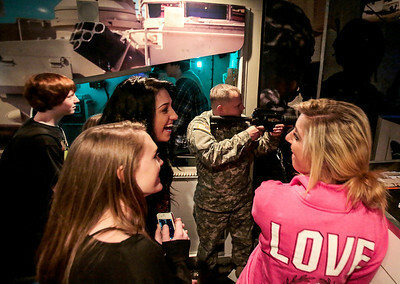 Crystal Lake South students including Will Orlyk, Molly Fremire, Iliyana Kovatchwatch, and Kathryn Halverson watch as Srgt. 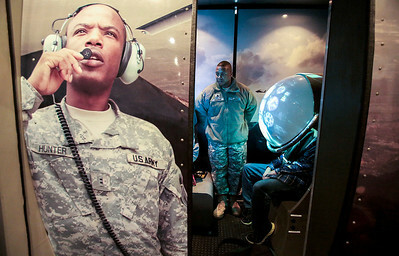 Joseph Burgess (center) demonstrates a simulated firing range inside the Adventure Semi 1 truck Wednesday in Crystal Lake. 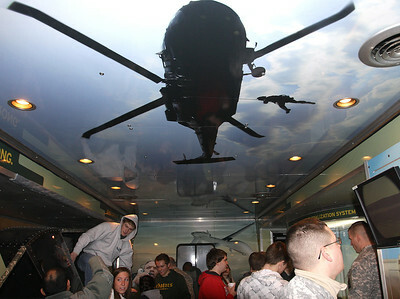 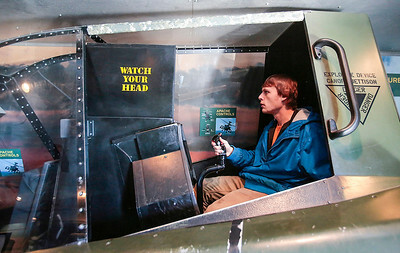 There are six Adventure Semi's that travel the United States, giving students a chance to simulate experiences, and find information on the various opportunities within the Army. 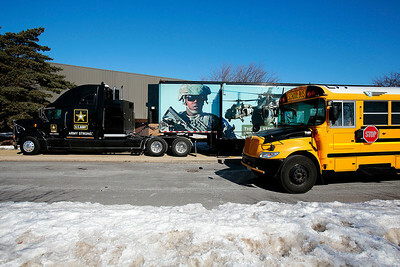 After the Adventure 1 truck spent the day at Crystal Lake South, it plans to visit Woodstock North High School on Thursday and Cary-Grove High School on Friday.